Location delivers the right audience for brands. Location data is the key to figuring out what customers really want. Identify and target brand audiences using our portfolio of products and make location the foundation of your media strategy. Accurate geo-fencing that performs at scale. Proximity allows brands to identify and serve digital advertising to consumers seen within a set distance of single or multiple defined locations. Locating consumers in defined places, when they are close to you or your competitor’ stores for example, enables advertisers to drive in-store footfall and influence the path to purchase. Proximity is underpinned by a range of location analytics and insight tools to provide you with an in depth analysis of your campaign’s performance. Target audiences based on location and contextual data. Audience combines real time location data with content and demographic data to build highly relevant audiences for brands. Drive consumer engagement in the right location at the right time. Make your brand messaging contextually relevant and maximise the impact of your campaigns. Audience is underpinned by a range of location analytics and insight tools to provide you with an in depth analysis of your campaign’s performance. Re-target audiences in the comfort of their own home. Blis Audience + enables advertisers to select profiles from 16 global audience packs, and re-target users in their homes, where they are most receptive to advertising and connected to Wi-Fi. Click here to see our 16 global Audience + packs available. Re-target audiences based on their historical behavioural data. Path is a rules-based behavioural retargeting product that allows brands to reach audiences based on analysis of where they have been and the content they engaged with the most. Reach audiences when they are more likely to engage, based on the environment they are in and the device they are using. Path is underpinned by a suite of location analytics and insight tools to provide you with an in depth analysis of your campaign’s performance. Connect is a cross-device retargeting product that allows brands to target audiences on any device using previous mobile location and content behaviour. It also identifies additional devices that are connected to the same residential IP address, allowing brands to serve relevant ad formats in the most appropriate user environments. Connect underpinned by a suite of location analytics and insight tools to provide you with an in depth analysis of your campaign’s performance. Measure and understand the true engagement of your audiences. Blis Engage enables brands to deliver targeted and relevant video ads where their audience are most likely to engage: in the home and connected to residential Wi-Fi. Ensure campaign success through guaranteed video engagement using the metric Cost Per Completed View (CPCV). 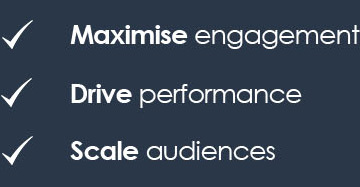 Contact us today to learn how you can understand audiences through Blis engage. Blis Futures enables advertisers to choose the location they want to drive customers into and determines the audience who will most likely visit. Blis combines their most comprehensive device ID location database with proprietary algorithms and solutions to accurately predict customer behaviour. Campaign performance will be measured on a Cost Per Visit( CPV) and advertisers will only be charged when a customer visits the targeted location. Learn how we predict future location behaviour. Include location in your media strategy. Location tells a story about people and the places they go. We work with global media-buying agencies to help their brands unlock the power of location and reach their customers on the go.